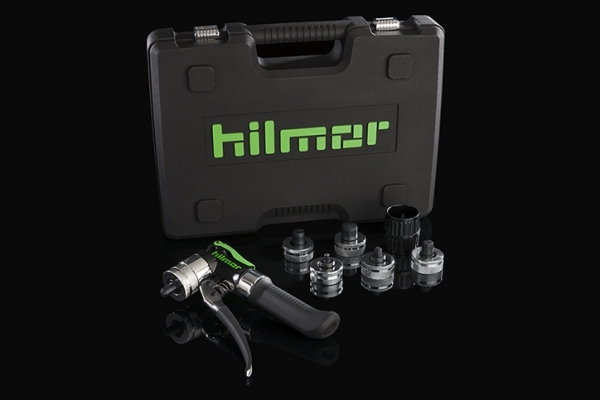 Hilmor 1839015 CS Compact Swage Tool Kit 3/8" TO 7/8"
Click the button below to add the Hilmor 1839015 CS Compact Swage Tool Kit 3/8" TO 7/8" to your wish list. 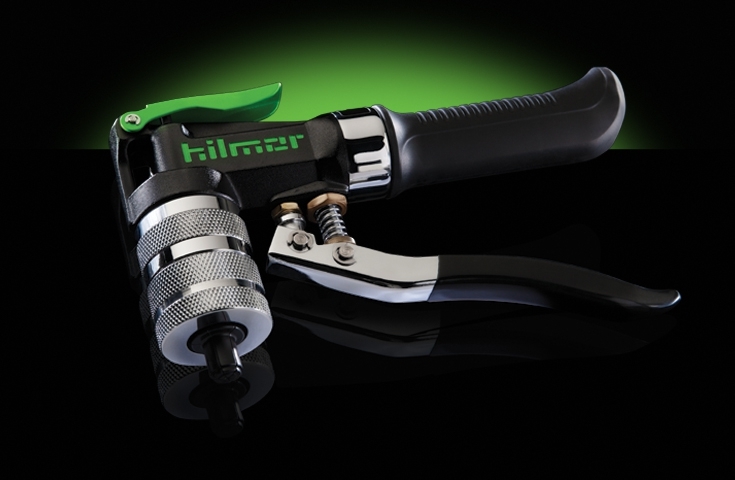 CS COMPACT SWAGE TOOL KIT 3/8" TO 1 -5/8"
The new hilmor Compact Swage Tool is taking swaging to the next level. It has the power to swage 1-5/8” tubing and the control to swage 5/16” tubing without a crack. With its small, pistol-shape design, it can fit in the smallest of spaces. This proprietary design can reduce on-the-job fatigue with its easy setup and one-handed operation made possible by an innovative hydraulic mechanism and release button. It’s even equipped for multiple sizes. Hilmor 1839032 CBK COMPACT BENDER KIT 1/4" TO 7/8"